Find all PS4 Game Download Code stores and prices to download and play Ratchet and Clank at the best prices on Playstation Network. Save time and money: Compare PS4 Game stores. 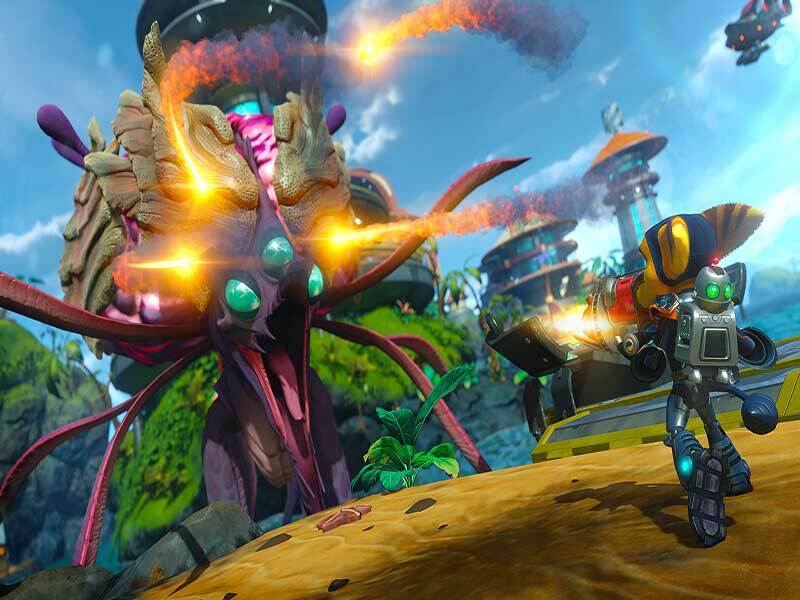 Activate Ratchet and Clank Game Code on PSN to download your PS4 game. You can participate to these tests by adding comments about your PS4 Game Code purchase in the store review page. 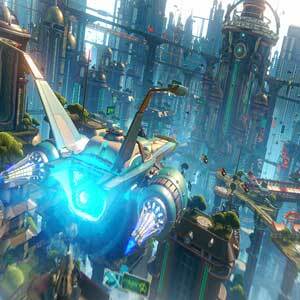 Enjoy the best deals for Ratchet and Clank Game Code with Allkeyshop ! 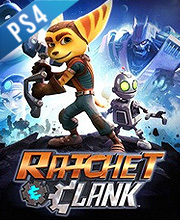 Ratchet & Clank is an action platformer videogame published by Sony Computer Entertainment and developed by Insomniac Games. Save the Solana Galaxy from the evil hands of Chairman Drek. Join Ratchet (a cat-like character called a Lombax and who is also a mechanic), Clank (a petit Zoni robot who is capable of feeling emotions), Captain Quark (a hero who is actually cowardly and fraudulent) also with some new friends that you will meet along the way. The game modernizes the old mechanics of the original gameplay. This will also let you delve deeper into each character’s stories. 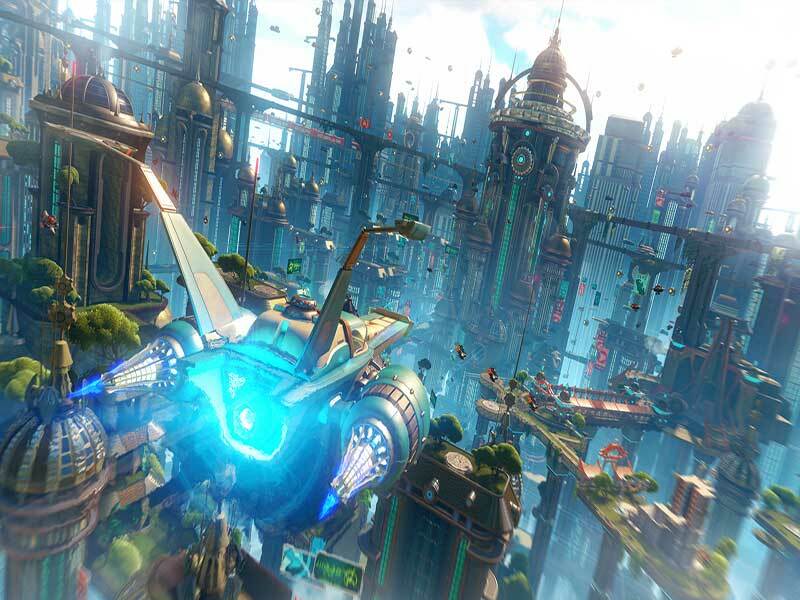 Everything is flashy and new with Ratchet & Clank: new planets, new gameplay segments, new bosses, new fight sequences and so much more. The game’s amazing arsenal line up will blow your mind. Like the Pixelizer which will turn your enemies into 8-bit pixels or the Groovitron which will make your enemies dance, dance, dance nonstop. 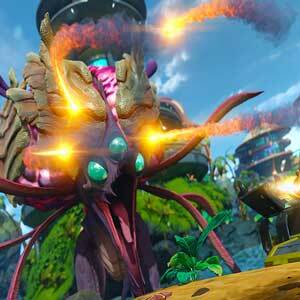 Amazing weapons as well as a great gameplay awaits in Ratchet & Clank. There are 6 offers ranging from 9.52€ to 24.39€. 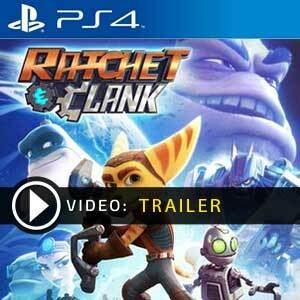 PLAYSTATION ACCOUNT : You will receive a Playstation account to download and play Ratchet and Clank PS4. Once downloaded you can play with your own account. Follow the instructions given by the seller and read carefully the store description about any language and region restrictions. US BOX GAME : This is an US import of Ratchet and Clank PS4 in Box Edition (DVD-CD ROM). This is not a downloadable product. Please read the sellers page for any additional costs (taxes, shipping), delivery time for your country and languages available. EUROPEAN BOX GAME : This is an European version for Ratchet and Clank PS4 in Box Edition (DVD-CD ROM). This is not a downloadable product. Please read the sellers page for any additional costs (taxes, shipping), delivery time for your country and languages available. BOX GAME : This is Ratchet and Clank PS4 Box Edition (DVD-CD ROM). This is not a downloadable product. Please read the sellers page for any additional costs (taxes, shipping), delivery time for your country and languages available. So is it for the PS3 or PS4 ?